Charm huggie earring inspired by Egypt pyramids. A triangle is hanging from the tiny hoop. 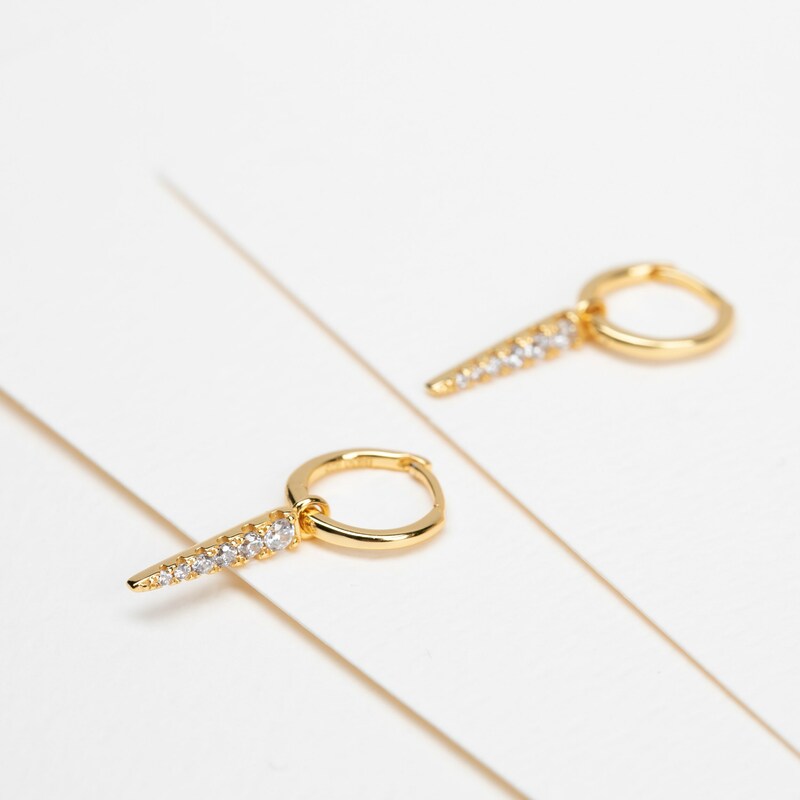 These dainty charm hoop earrings are perfect for matching with other dainty earrings. You can combine it with a small huggie hoop earring as you can see on the picture.